The parents of baby Charlie Gard are set to complain to press regulator IPSO over The Sun’s use of their exclusive interview with the Daily Mail following their son’s death.  Featureworld owner Alison Smith-Squire, who has had exclusive access to the family throughout their ordeal, told Press Gazette they had been “shocked and horrified by the multiple insensitive sensationalised stories The Sun, The Sun on Sunday and Sun Online spewed out over the weekend”. She said the stories had been “lifted” from her exclusive interview with Connie Yates and Charlie Gard about their final moments with baby Charlie, whose life support machine was switched off on Friday 28 July following a public legal battle, that appeared online the same night and in Saturday’s Daily Mail. 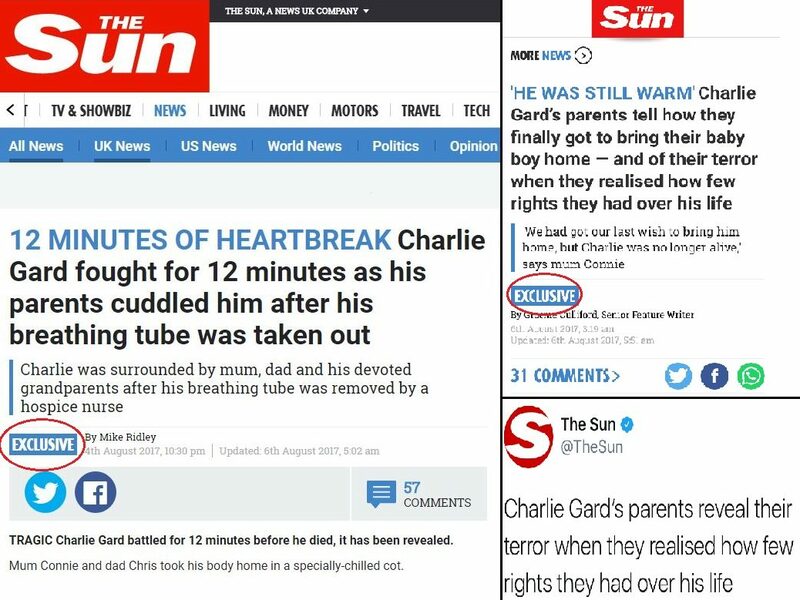 Press Gazette understands The Sun offered to pay for the exclusive story but Smith-Squire said the family chose to go with the Mail because of the paper’s support for them during legal proceedings, in which they fought for Charlie’s right to access treatment in the US for his rare condition. The Mail is also understood to have outbid The Sun for the story. Asked whether the Daily Mail paid for the story, Smith-Squire said the matter was confidential. 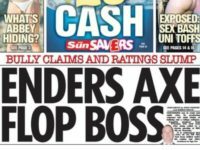 A number of The Sun’s online stories are labelled “exclusive”. 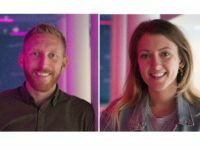 Speaking on behalf of the family, Smith-Squire said in a statement: “We wish to make it clear these supposed ‘exclusives’ were entirely lifted from one original sweet, tender and sensitive interview the couple did via Featureworld with another newspaper. “In addition treasured personal family photos that appeared over two double-page spreads in The Sun and Sun On Sunday, on the front page of The Sun and on Sun Online (where they were rabidly shared on Facebook, Twitter and other social media) were used without any consent from either Featureworld or the family. 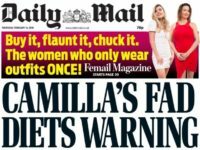 She said The Sun had given the impression that the family had agreed to give multiple interviews with its reporters when in fact they had only done the one interview which was published in the Daily Mail. She said the newspaper’s coverage had been an “extraordinary binge” on the original piece and that the Gard family had “suffered deeply disturbing, threatening and horrifying online abuse” as a direct result of the title’s “vile actions, vile stories and vile headlines”. “Apart from some brief details, used under Fair Usage laws, no other UK newspaper indulged in this horrifying pillage of The Gard’s one and only original interview,” she said. “It should be noted that The Sun used my copy, which I own the copyright to, without any consent or payment whatsoever with total disregard to me as a professional journalist. “The Gard’s only much-loved child has only just died. 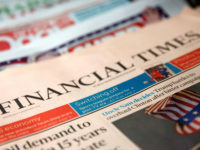 To treat grieving parents in such a cruel and thoughtless way out of sheer greed – to sell more newspapers and get more clicks – is reprehensible,” said Smith-Squire. “The Sun needs to take a very long look at the way it conducts itself. If it cannot regulate its behaviour itself then maybe MPs should call for an outside inquiry into it. “Thankfully in my vast experience the way The Sun has behaved is not in any way representative of any other UK media. 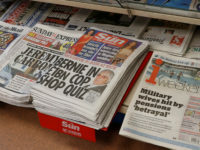 Smith-Squire said the Sun’s stories had given a “misleading” impression, which would mean the complaint is likely to fall under clause 1 – accuracy – of the Editor’s Code of Practice. 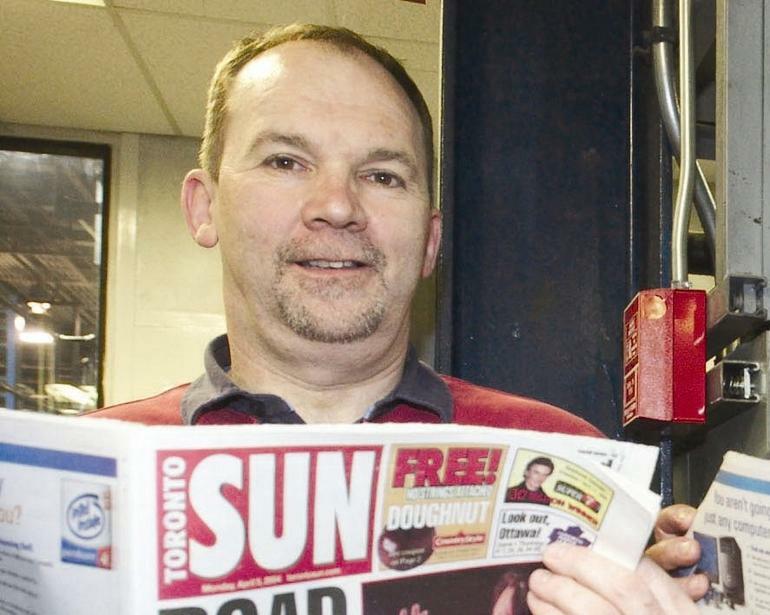 Doesn’t The Sun have an editor who claimed he was once a journalist?